« CASEing the Catty – CTC144 – Peace.Joy.Love. is Music to my ears! Hello and welcome to the RemARKably Creative Anything but the Holidays Blog Hop hosted by Janet Wakeland. I thought the idea of a Blog Hop full of non-holiday projects created using items from the newly released Holiday Catalogue was a fabulous one. It’s so easy to think these goodies are only for the holiday they were originally designed for – but usually, there are so many other purposes too! 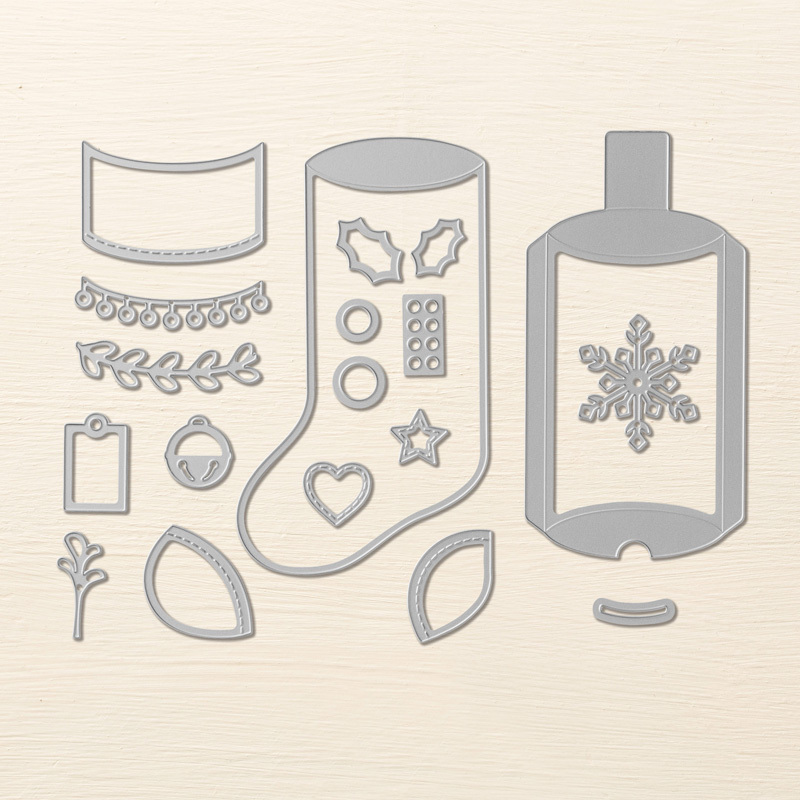 They are designed to make the Christmas Stockings that could be an advent calendar or a gift box or a tree ornament. Aren’t these cute baby booties/socks! They also have matching gift tags attached. The little gift tags feature cards and stickers from the Bundle of Love Memories and More Card pack, a sentiment from the coordinating Born to Be Loved stamp set, a bow created with the gold Metallic Edge Ribbon, some Gold Metallic Thread and some have a Gold Metallic Enamel Shape as well. Thanks for taking part in our blog hop, there are so many amazing ideas and inspiration you don’t want to miss. Remember that currently, you are at my blog Jackie Noble | creativeJax You can see all those participating and the links to their posts in the list below. So very cute. A great idea. These baby booties are adorable. They would be wonderful for a baby shower. These baby containers from the stockings was a brilliant idea. You are truly an artist! Very, very sweet. Loved them all.